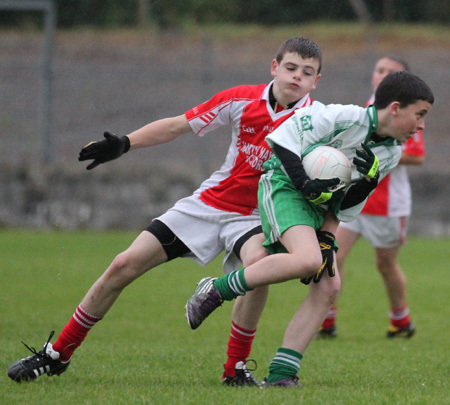 The final margin of victory might have been three points, but this was a game where Aodh Ruadh were most definitely the dominant side. 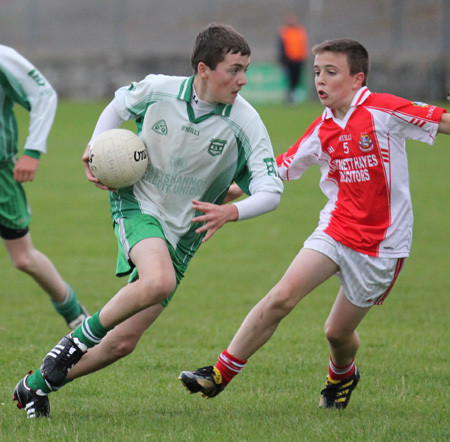 They opened in rapacious form with Dungloe simply unable to handle Philip Patton in the first ten minutes. 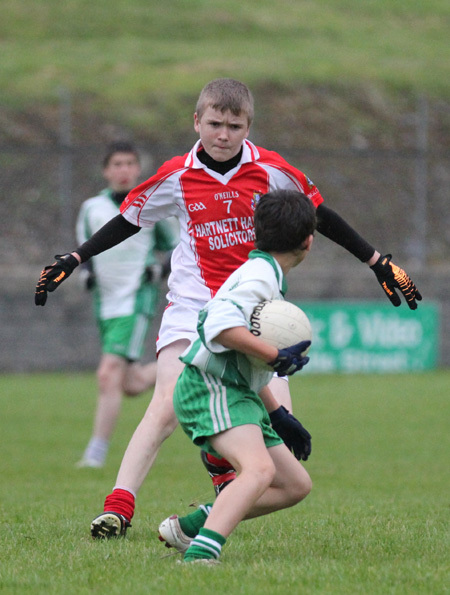 The Dunmuckrim man rattled over four points in that period to give Aodh Ruadh a cushion they would hold almost for the remainder of the game. 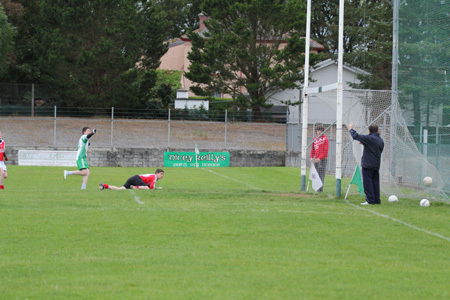 Dungloe finally shook off the effects of their long trip down the road when they forced a magnificent point blank save from Gavin McDaid on nine minutes. 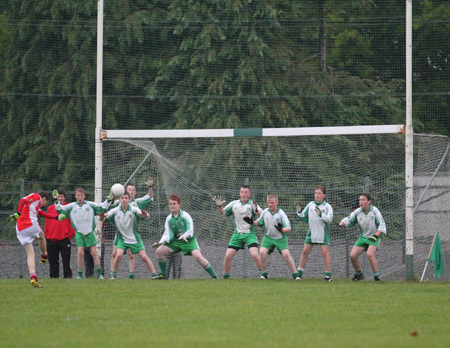 They got off the mark a minute later though when Barry Curran sallied through the Aodh Ruadh rearguard to point. Terry Ward notched a point in reply for the homesters before great link play between the Aodh Ruadh forwards left Donal Sweeny one on one with the keeper and he finished cooly and clinically to put the Ernesiders into a 1-5 to 0-2 lead. 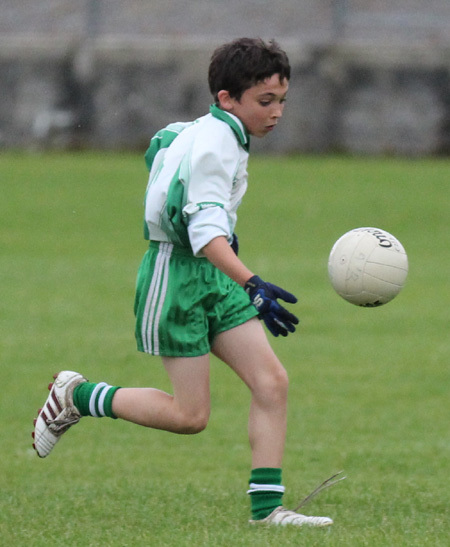 Philip Patton added a free before Conor Kennedy had the green flag raised again with an audacious chip over both goal-keeper and defender from a difficult angle on the right. 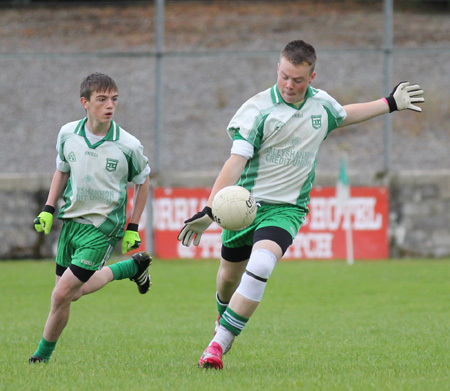 Two frees from Ryan Green meant that the half time score was 2-6 to 0-4 in favour of Aodh Ruadh. 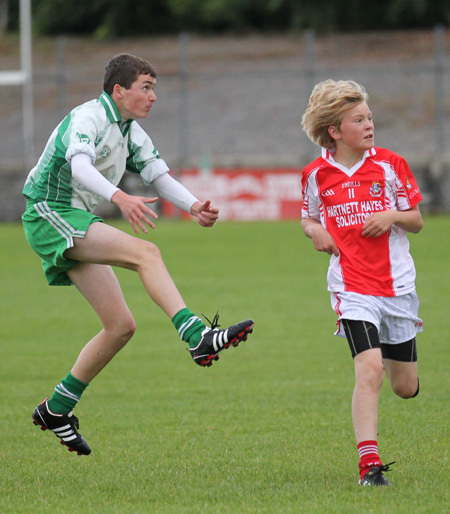 Dungloe had much more of the play in the second half, starting with a point from Dan Ward. That was countered by a lovely score from Philip Patton, but Dungloe then tagged on two points through Paul Sweeney and Green again. 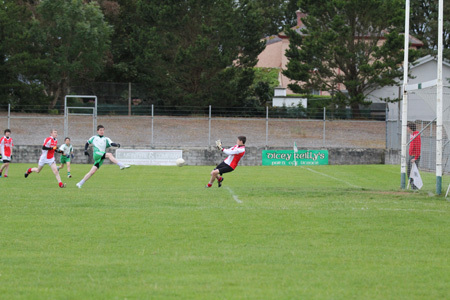 38 minutes in Gavin McDaid was once again called upon to make a great save, Nathan Boyle cleaned up with great industry and in a sweeping move the ball was swept down the field for Donal Sweeny to smoothly point. 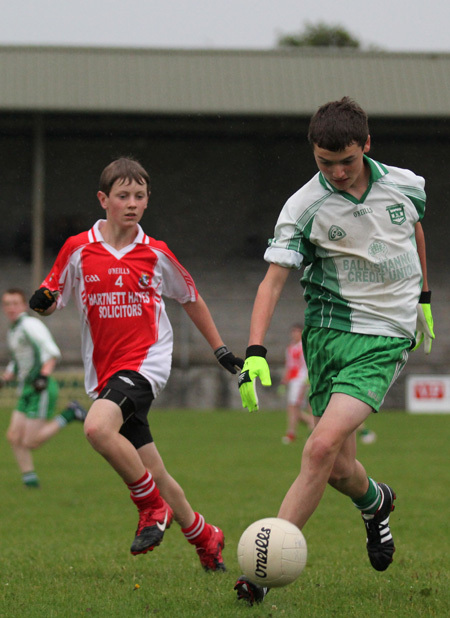 The sides swapped points through Shane McGrath, Ryan Green, Terry Ward and Barry Curran before Donal Sweeney intervened with Aodh Ruadh's third goal. 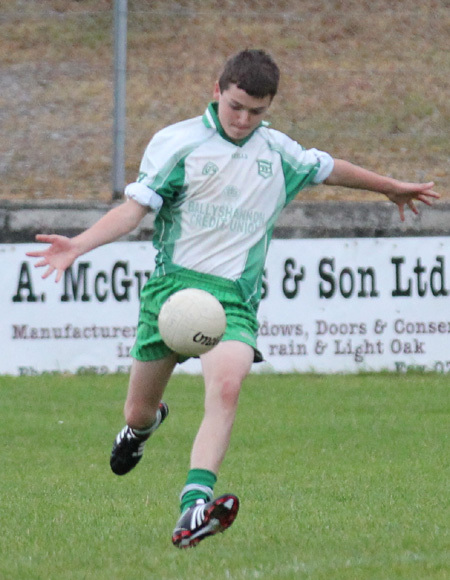 It was another lob over the keeper which put Aodh Ruadh 3-10 to 0-9 to the good with nine minutes remaining. 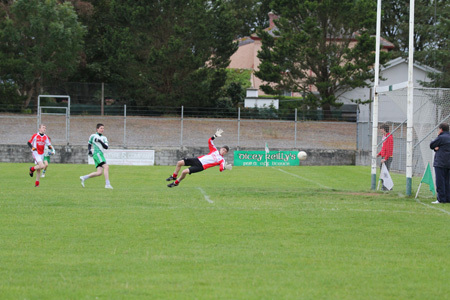 Two minutes later and Dungloe got their first goal through a quick from Ryan Green. Two minutes later again and whatever doubts there might have been around Green's first goal there could be none about his second, a fine effort which gave Gavin McDaid absolutely no chance. Matthew O'Brien pointed shortly afterwards to leave just a goal between the sides with three minutes remaining. The homesters kept their cool though and a point from Philip Patton on 60 minutes gave Aodh Ruadh the insurance they needed to see out the remainder of the game. Ryan Green made the final contribution, converting a close range free. It was an absorbing contest with a lot of good football on show from both sides. Gavin McDaid's two stops proved match winning interventions, while Jack Darbon had a fine game in his roving defensive commission. 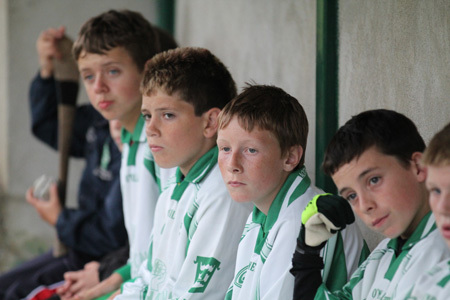 Cookie O'Halloran showed a lot of guts on a number of occasions to dig out balls for Aodh Ruadh and Conor Kennedy and Jason Gallagher's tireless work gave the homesters a solid midfield platform. Terry Ward had a fine 60 minutes always offering an option and hitting two good points. 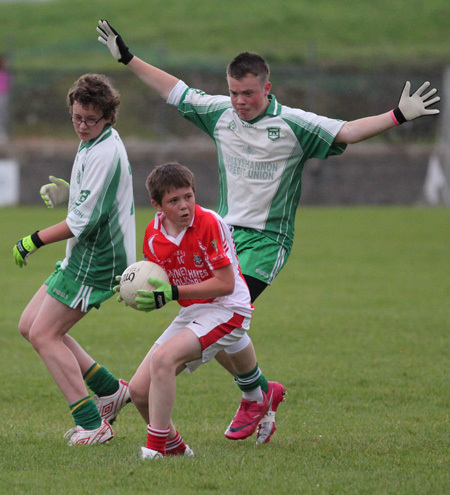 Ryan Gallagher and Shane McGrath were both busy and dangerous where Donal Sweeny proved a constant menace to the Dungloe net. For Dungloe Ryan Green at full forward was exceptional, while Barry Curran at centre half back defended staunchly and also hit two points. 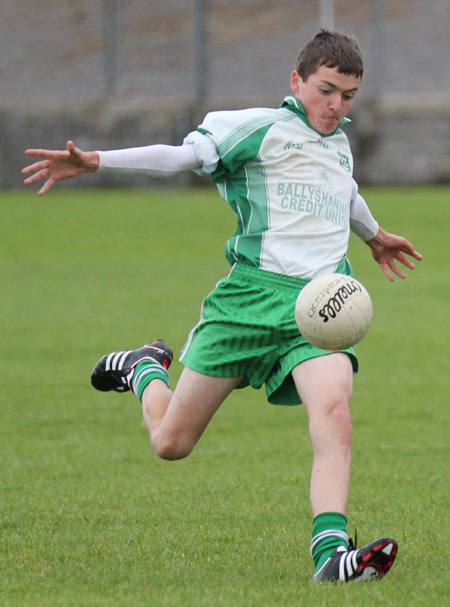 Man of the match though was Aodh Ruadh's Philip Patton. His seven points, five from play, and his contribution in wider play demonstrated great polish and poise throughout. 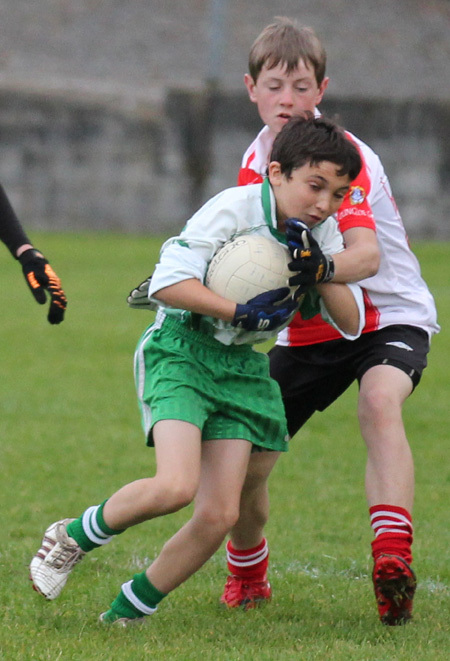 Having finished top of the under 14 league Aodh Ruadh now face fourth placed Na Rossa in the Southern Regional semi-final this Friday 12th August in Dunkineely at 7pm. All support would be much appreciated. The regional final is due to take place on Wednesday 17th August. 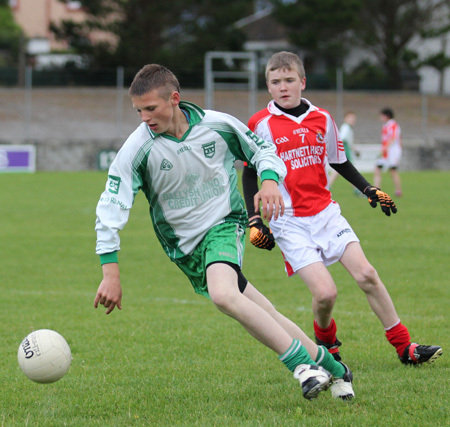 Gavin McDaid; Eugene Drummond, Jack Darbon, Nathan Boyle; Colm Doyle, Kieran Kelly, Calum O'Haloran; Conor Kennedy (1-0), Jason Gallagher; Terry Ward (0-2), Philip Patton (0-7, 2f), Ois�n Roper; Ryan Gallagher, Donal Sweeny (2-0), Shane McGrath (0-1). Substitutes: Daniel Warnock, Jimmy Ward, Aaron Clarke, Jason Granaghan, Calum Drummond. Danny Rodgers; Caelan Ward, Matthew Ward, Mark Curran; Ciaran McCole, Barry Curran (0-2), Aaron Boyle; Brian O'Donnell, Hugh Moy; Nathan White, Ryan Connors, Matthew O'Brien (0-2, 1f); Ryan Green (2-5, 4f), Paul Sweeney (0-1), Daniel Ward (0-1). Substitutes: Peter Meehan, Danny Boyle.